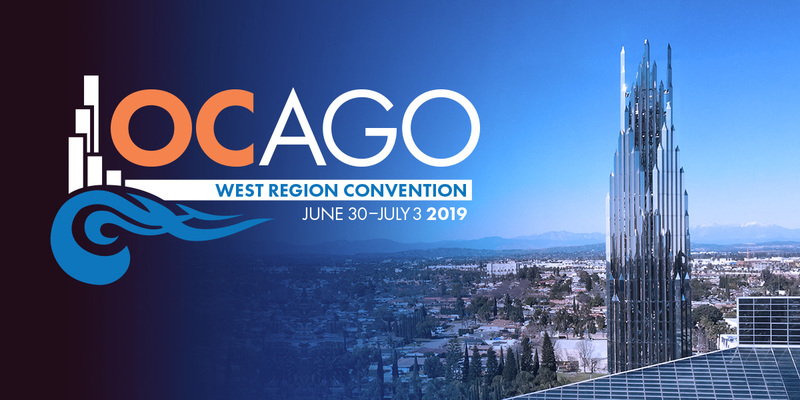 Join us for the exciting 2019 AGO West Region Convention in Orange County, California! Exciting instruments will be featured, including the Ballantyne organ at St. John's Lutheran, the rebuilt Aeolian Skinner at Christ Cathedral Arboretum, and the C. B. Fisk Opus 130 at the Renee and Henry Segerstrom Concert Hall. We will spend a day at the Christ Cathedral campus (formerly Crystal Cathedral) which is undergoing an exciting Renaissance. The beautiful campus of Concordia University, Irvine, with its 55 rank Casavant will be the center for the RCYO competition and new state-of-the-art music building will provide locations for learning and development. Garden Grove UMC provides the venue for a 48-rank Reuter instrument. Venturing into Los Angeles County, we will be in for a most unusual concert featuring three on a bench on the 58-rank Aeolian-Skinner at Covenant Presbyterian Church in Long Beach and at Los Altos UMC we will experience the Simmons/Rosales/Bozeman tracker-action organ originally built in 1846. There will be choral concerts, handbells, original compositions, inspiring and educational workshops and much more. The convention hotel is the luxurious Hotel Irvine. Come early and stay after the convention to experience Orange County's world class beaches and world-famous theme parks.